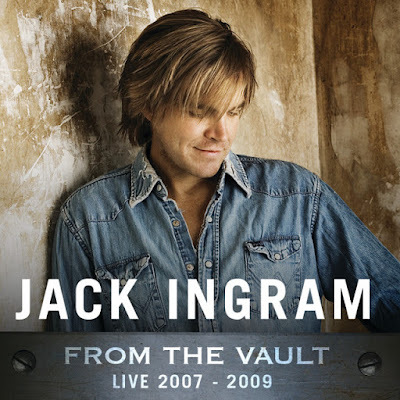 Big Machine Records released a surprise release earlier this week, unveiling a collection of ten previously unheard live tracks by Texan Jack Ingram. Recorded during his stint on the label, one of the tracks features a young Taylor Swift on background vocals before her meteoric rise to superstardom. Says Ingram on the project, "In my experience, things that are “in the vault” are usually PUT there to REMAIN there... and there is usually a reason to do so... secrets, dangerous truths, provocative lies, stolen goods, somehow sub-par per-for-man-says... From my perspective, with a little time & distance from 2007-2009, I don’t have any idea why this music was IN the vault but sitting here giving these songs a listen, I’m just pleasantly pleased that they found their way OUT of the vault!" "Extremely proud of the work we did & music we made during this era of a career! Thanks to Big Machine Records for shining a light on some of the good times from some real good times! & check out our young Princess, Taylor Swift nailing Sheryl Crow‘s part (she sang on the studio recording) some sweet harmony vocals on one of my favorite songs from those years!" In an Instagram post, Ingram also teases that his next project will be called Riding High... Again and will be forthcoming soon.